We all know Mac OS X 10.6 Snow Leopard is the next major version of Mac OS to be released in 2009, and we know some of the features too. But going further, the UK’s Register Hardware has a nice multipage preview of Snow Leopard, pointing out some changes, refinements, and new features. As many others have stated there’s no single new feature that is outstandingly groundbreaking about 10.6, it’s just heavily refined and quite a bit faster than Leopard. 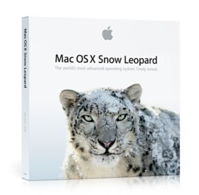 As always, you can pre-order Mac OS X 10.6 Snow Leopard from Amazon.com for $29 which ships August 28th of ’09. Read the Register Hardwares first look at Snow Leopard over on RegisterHardware: Snow Leopard preview here. Anyone know how to change my e-mail used by OSXDaily?